It’s Friday yet again my friends, which means we have the time afforded to ourselves to take a peek back at the last seven days of Microsoft news. TNW has more Microsoft content coming over the weekend, so keep your eyes peeled. This week had two themes for the company: cash money, and market share. Ensure that you are following TNW’s Microsoft channel on Twitter and Facebook, and let’s get right to it. Windows 8 market share among the gaming set is a key indicator of how well the operating system is performing in terms of mind share; gamers are not the largest piece of the PC market, but they are among its most discerning, making their preference an interesting indicator of future market adoption of software. Ever since its release, Windows 8 has been the only version of Microsoft’s desktop operating system to gain share on Steam. […] Three months ago, Windows 8 passed OS X on Steam, and last month,Windows 8 passed Windows Vista. Now, after just four months of availability, Windows 8 has already passed Windows XP. This puts the operating system neatly into second place on Steam, where it will likely stay for quite a while. Certainly, any version of Windows has an advantage over OS X and Linux in the gaming market, but it must be heartening to Microsoft that their new product, while controversial, is being accepted by those most likely to buy new computers, or mod their current machines. TNW spent part of the week poking around the Microsoft decision to loan the Michael Dell and Silverlake consortium $2 billion to help with their purchase of Dell, the computer company. The gist of what we managed to cobble together from the edges is that Microsoft is using foreign cash for the loan, allowing it to derive a fat interest rate on the sum that likely wasn’t generating much before. After all, cash in foreign accounts simply isn’t as useful as funds in the United States for Microsoft, as if the company brings it home, it loses 35% of its value through taxes. Note, however, that the above information hasn’t been confirmed by Microsoft, so we could have it slightly wrong in one way or the other. Another thing to keep in mind is that the company isn’t picking up shares, or clout in the Dell deal. It’s simply acting as a financier. Microsoft, with more than $60 billion in cash, equivalents, and short-term investments is massively wealthy, making such a move as this child’s play for its accountants. And it helps Dell rebuild, which can only be a good for Microsoft’s Windows division. Microsoft is set to pay a fat three-quarter billion in a fine for a browser mistake that it has admitted to making. The company is utterly contrite. $731 million for a a browser ballot mistake? You’re darn tootin’, as the EU is peeved that Microsoft made the mistake after it had been sanctioned before. While the sanction is sizeable, representing more than 11 percent of Microsoft’s expected net profit this quarter and 1 percent of annual sales, the Commission could have charged the company up to 10 percent of annual global revenue. Big tech companies are no different from other multinational firms in their zeal to avoid paying taxes. This isn’t immoral, but often somewhat seedy. Double Irish arrangement aside, Microsoft likes to save money as well. Microsoft acquired Navision in a stock-and-cash deal worth about $1.3 billion at the time, laying the foundation for a new division called Microsoft Business Solutions (now Dynamics NAV). 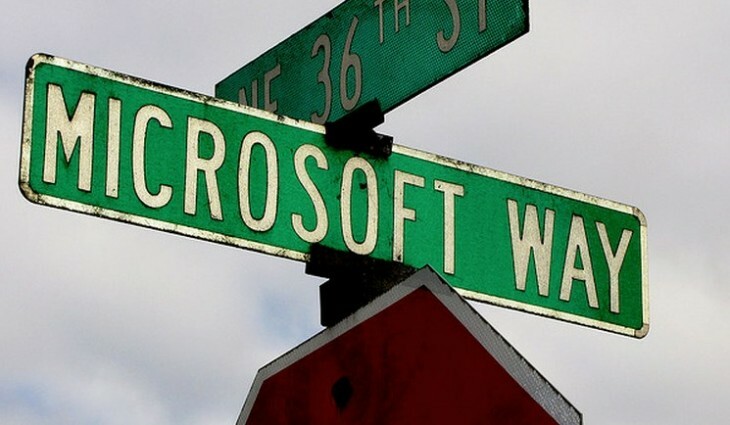 Shortly after the transaction, Microsoft reportedly sold the rights to Navision’s ERP and accounting software to Microsoft’s Irish subsidiary at a price which the Danish tax authorities think was far too low. This has allowed Microsoft to transfer valuable assets out of Denmark, where taxes are notoriously high, without coughing up sufficient dues for the government, the local tax authorities claim. If the company did artificially lower the value of the good to allow the sale to slip under Danish taxes, it seems unlikely to get past the tab. That’s enough for this week. Make a strong tea and get weekending. Read next: We're Live From SXSW!